• or you can post it directly on our SAF Tehnika Facebook Group wall (you must be a member of the Group). Deadline for photo submission: July 3rd, 2013. Between July 4th and 12th the photos will be judged by getting ‘likes’ in FB wall. The author of the winner-photo will get iPad2 and some of posted pictures will be added to photo gallery in SAF Museum in Riga, Latvia. 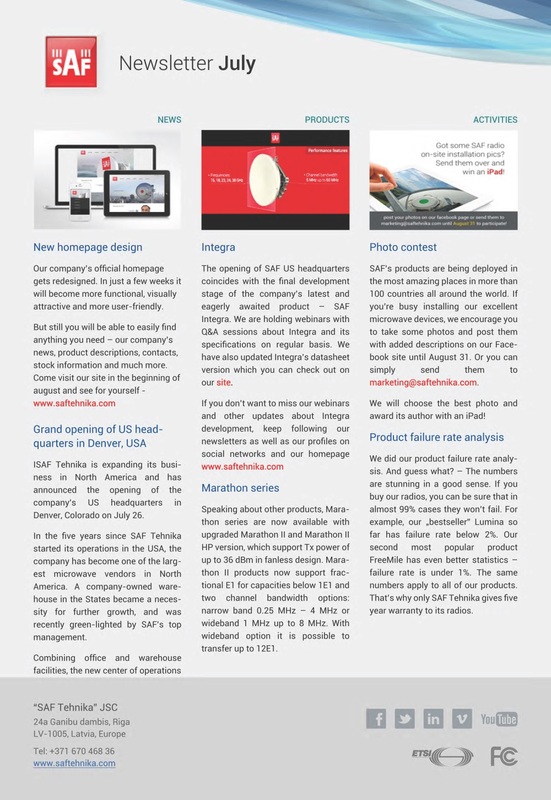 SAF Integra in the Market from July 2013! SAF Tehnika new ultra-compact microwave data transmission solution Integra is an unbelievably light, energy efficient carrier-grade system. 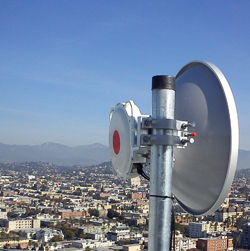 The unique integration of next generation microwave radio with high and super high performance antennas into a single unit translates into a lower total cost of ownership, as well as less time spent on the installation site, and better reliability of the link even in densely served areas. Integra is Perfect for small-cell, RAN, and HetNet backhaul where aesthetics in a metropolitan area are a key concern. 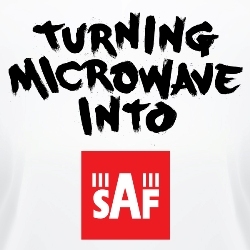 Check more about SAF right-out-of-the-box microwave system Integra in our web. 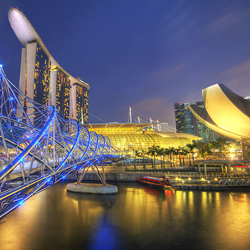 CommunicAsia 2013 is the Asia’s largest integrated info communication technology event. ICT industry professionals from around the world congregate at this annual event to obtain industry updates, witness product / service launches, optimize business opportunities and gain insightful knowledge from the industry’s experts. Note: pre-registration for CommunicAsia is ending on the 7 June 2013. 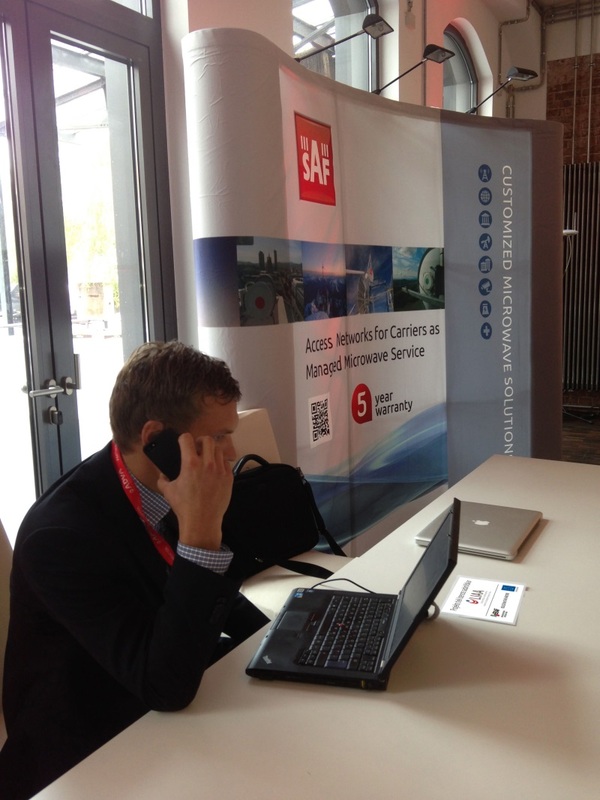 More than 7500 professionals have already pre-registered their visit to the event. SAF Tehnika will be presented at the exhibition – booth #1D5-01, Exhibition Hall A (L1 floor). Please arrange your meeting with SAF Asia Sales team members, VP Sales and Markerting Edgars Ricevs or VP Business Development Vents Lacars by sending e-mail to maris.gaugers@saftehnika.com, edgars.ricevs@saftehika.com or vents.lacars@saftehnika.com. 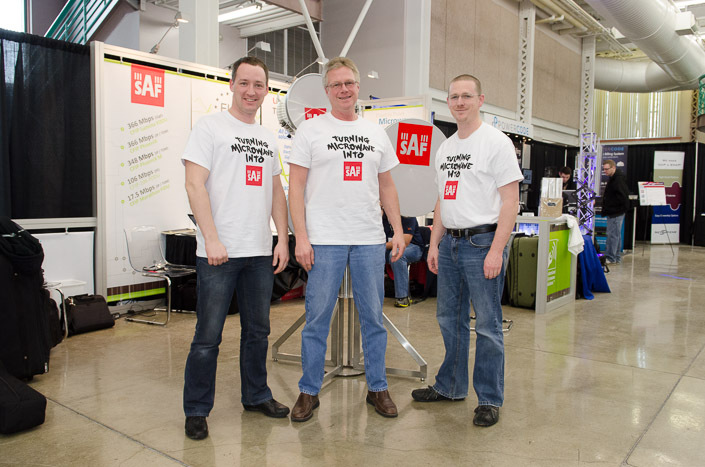 SAF at CTIA – meet whole North America team! SAF Tehnika will take participation at CTIA WIRELESS® 2013 in Las Vegas, USA and already now is ready for some great announcements. 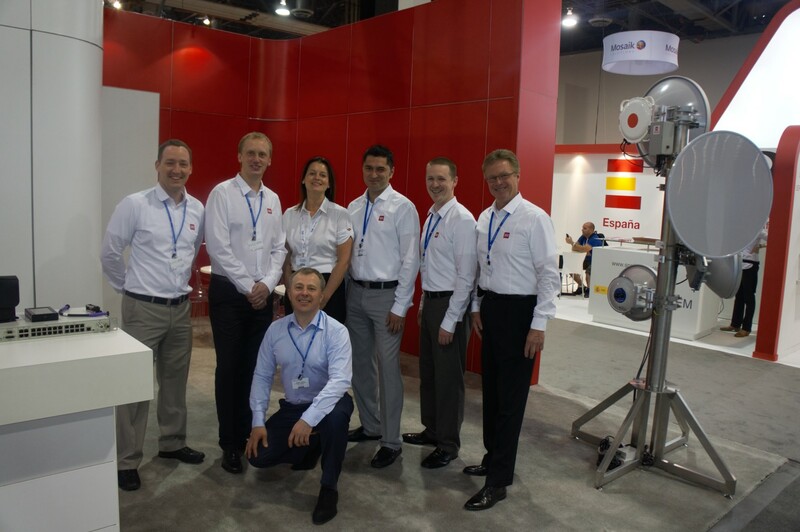 All three days starting from May 21st you will have possibility to talk to SAF North America team members Kristaps Rikans, Daniel White, Scott Carlson and Sergiu Albu who will be accompanied by our Sales, Business Development, R&D and Marketing professionals. 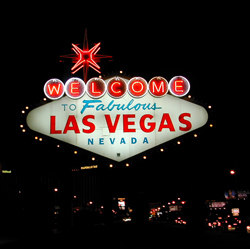 CTIA Wireless is the largest and most comprehensive trade show in the wireless industry. Come and meet SAF team at booth #2846 in the Tower Technology Summit Pavilion – you will be really impressed! SAF Tehnika – the pioneer of compact full outdoor microwave radio technology – is excited to introduce the next step in the evolution of full outdoor packet microwave radio systems. It definitely will provide additional advantages to the network operator looking to save time and costs. 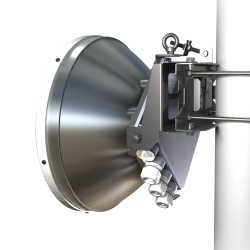 New product family will be the next generation backhaul of choice for the network operator that demands high spectral efficiency in an industry-unique, right-out-of-the-box microwave system with integrated support for tomorrow’s network transport requirements. Look for more info in SAF announcements during May, 2013. Participate in annual SAF customer survey! As each spring SAF Tehnika announces the annual customer survey. During May you are welcome to participate and share your thoughts. We find it extremely important to know Your opinion about our company, brand, products, solutions and services as it will help us to improve our work and standards of service. 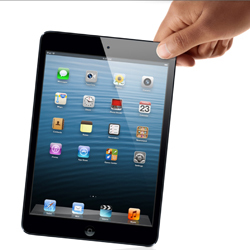 Efforts should be awarded so we will raffle one iPad mini among all participants of this survey. No specific applications needed - just take participation and fill the form till May 27th! Remember, that the winner will be announced in SAF Newsletter in May. In cooperation with SAF partner Artsys Telecom S.L. 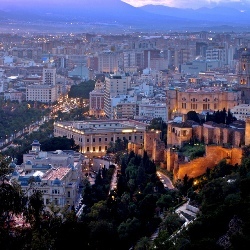 the solution was found for VoIP and Internet services provider Rebeloak SL (bb4s.com) in the East of Malaga, Spain. 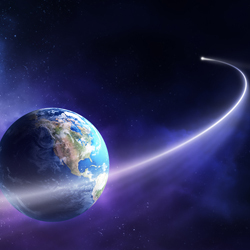 The main challenge was to find a cost-effective solution delivering Gbps connectivity along with over 99.99% availability, QoS for VoIP and video services, the same as immunity from radio interference (F.O. 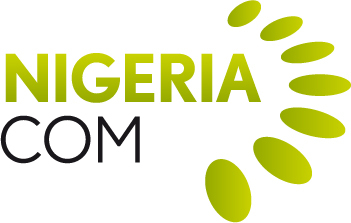 solution), because a repeater point and fiber provider (data centre) are locations with a very aggressive radio electric environment due to the abundance of radio links. 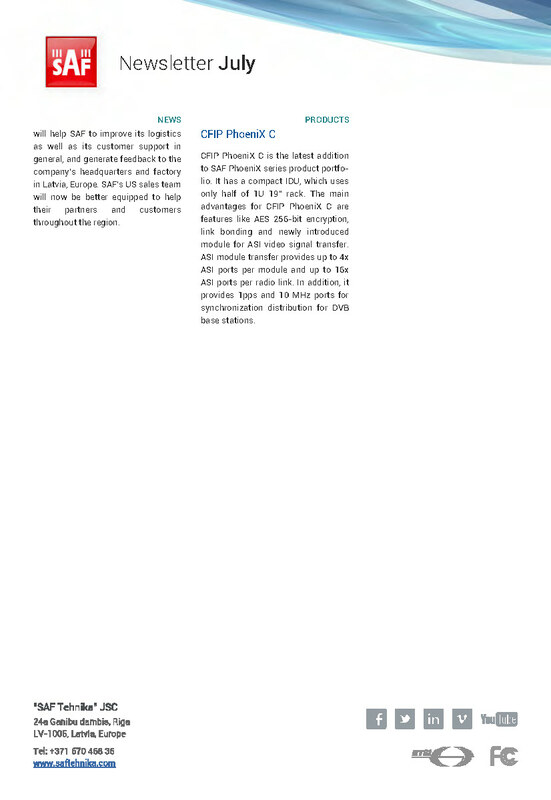 The SAF solution with 18GHz CFIP products was chosen as the most appropriate one providing increased bandwidth, reduced latency, and better availability. Read the full case study in SAF webpage. 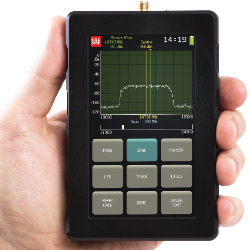 Spectrum Compact is the world’s first powerful handheld licensed microwave spectrum analyzer. 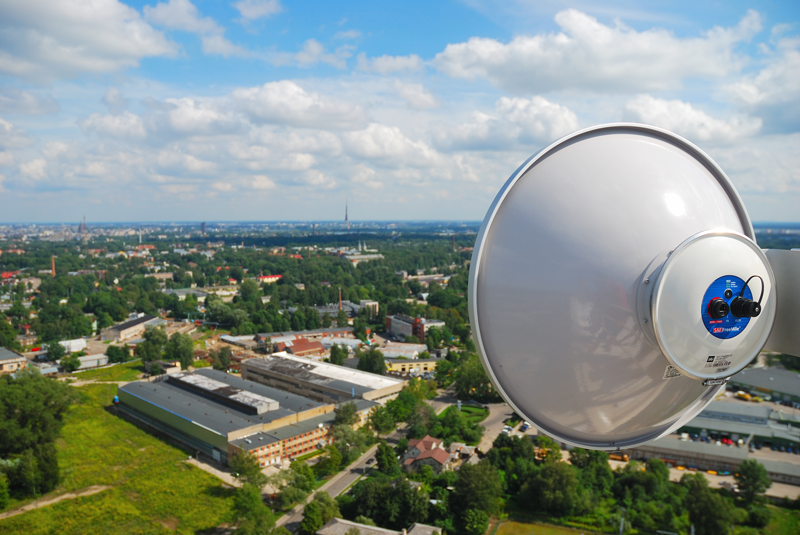 It is ultra light and easy to use measurement solution for 6 to 24 GHz licensed microwave frequency bands and designed especially for comfortable outdoor use by network engineers in a variety of challenging environments. SAF Spectrum Compact is ultra compact, industry leading receiver sensitivity, compatibility with any manufacturer’s antenna system, USB charging option, no laptop required for usage on-site usage, competitive price and more. Ethernet switches rely on packet switching. The switch establishes a connection between two segments and keeps the connection long enough to send the current packet. Incoming packets are saved in the temporary memory area – a buffer. It is possible to generate traffic that does not exceed 10Mbps and freely passes a particular shaper but overrun CFIP Lumina 128Kbyte buffer. In this white paper we will explain the concept of the Ethernet switch buffer and flow control. Spectrum Compact is an ultra-light and easy to use measurement solution for 6 to 24 GHz licensed microwave frequency bands. Designed for comfortable outdoor use in challenging environments, this battery-powered device is a great tool for equipment installation or gathering data for site planning purposes. The LCD touch screen ensures smooth and intuitive onsite use, and the SMA connector allows the Spectrum Compact to connect to any antenna or waveguide system via coaxial cable and WG to coax transitions. The Spectrum Compact helps you detect existing interference on installed paths or available radio channels with high precision. Onboard flash memory of the Spectrum compact allows data logging and saving of all spectrum scans. Enhanced data processing and analysis is available through SAF’s designed PC software for PCs and laptops. 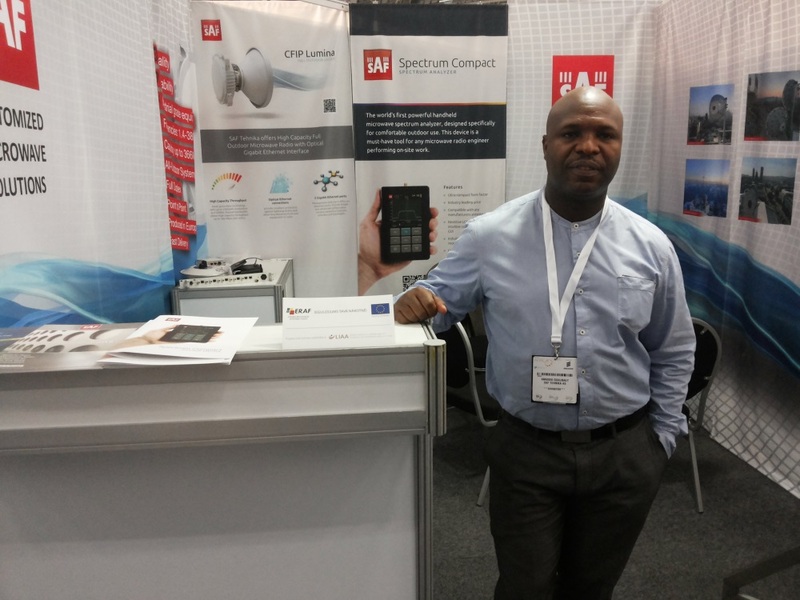 Main features of Spectrum Compact: ultra-compact, industry leading receiver sensitivity, compatibility with any manufacturers antenna system, USB charging option, no laptop required for on-site usage, competitive price. Meet SAF Tehnika team at CeBIT 2013 (Hall 011 – booth #C32), Hanover, Germany from March 5 till 9, 2013. SAF Tehnika JSC is an ISO certified wireless data transmission equipment manufacturer. 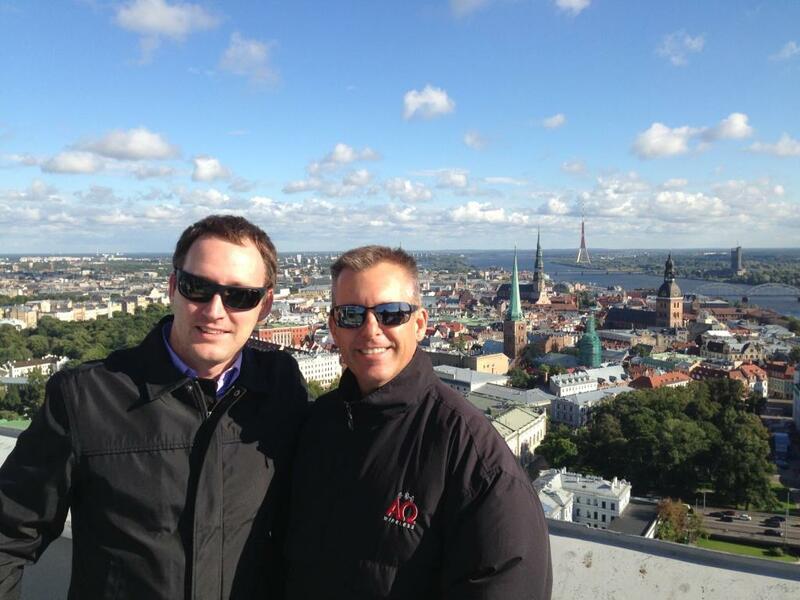 The company’s products are produced in Latvia, Europe and sold in over 100 countries worldwide. SAF Tehnika has been listed on NASDAQ OMX Riga since 2004. It is common knowledge in the industry these days for many applications Microwave Radio is the best technology to build lowest latency communications channels. That's due to several factors, but mostly for a reason the signal propagates faster over the air than through Fiber Optical Cable. Low Latency Microwave Radio based links are extensively used by Financial Community for several years already; in addition to that there are clearly other exciting applications in other industries and market segments. SAF Tehnika has very positive practical experience and extensive knowledge of the subject in the company, thus is willing to offer best in class Low Latency solutions to all interested parties. Our solution involves, but is not limited to customized FODU, IDU, active IF repeater and various antenna / branching equipment. 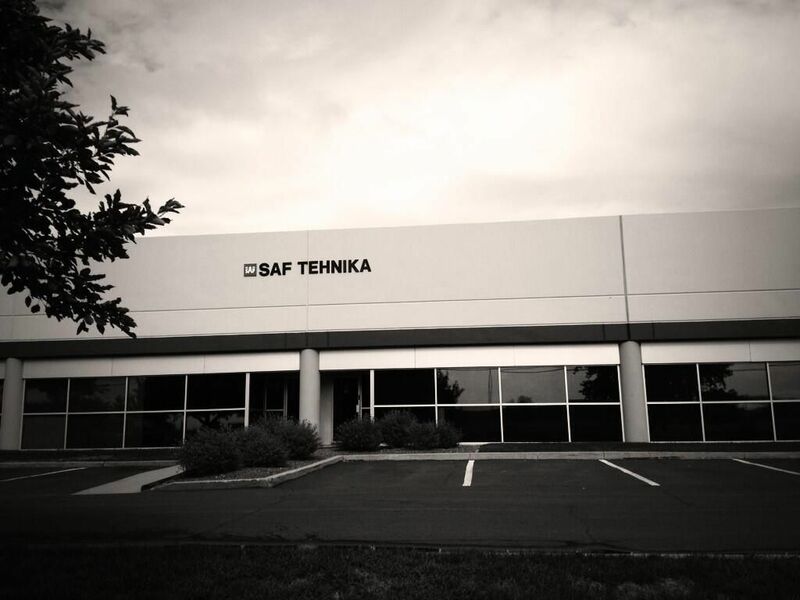 Please send your inquiries to your local SAF Tehnika distributor or e-mail to sales@saftehnika.com. 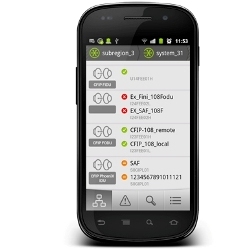 SAF Mobile NMS – first network management app in the industry! SAF network management system (SAF NMS) is integrated, easy-to-use quality hardware and software toolset for monitoring and managing SAF designed microwave radio equipment in any network. It helps to configure and monitor SAF equipment locally and also remotely and now is available new v4.1. 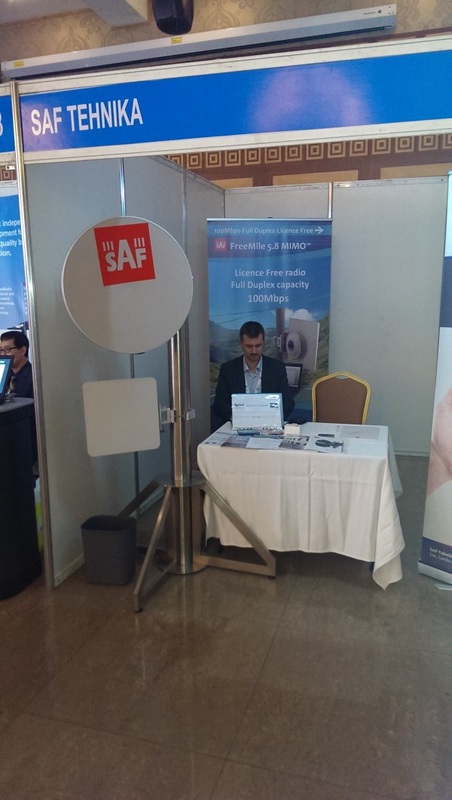 To support world tendencies of mobile usage in daily work SAF has created first in the market smartphone application for monitoring microwave network environment – SAF Mobile NMS. It is an Android (ver. 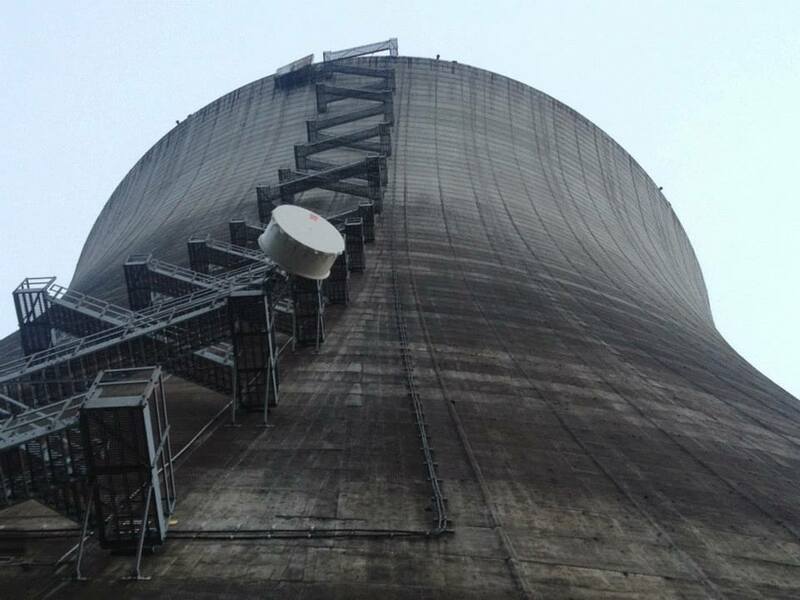 2.2 or higher) based client application for SAF NMS and provides enhanced real-time overview of the actual equipment and network status via instant push-notification service. Use SAF Mobile NMS to control and monitor your microwave network! Special offer from March, 2013: buy SAF NMS Lite - limited network license of up to 5 radio links - and get SAF Mobile NMS! More information: sales@saftehnika.com. Read more about SAF Mobile NMS and SAF NMS here. Spring 2013 in SAF will be dedicated to two biggest exhibitions in IT and telecommunication sphere. 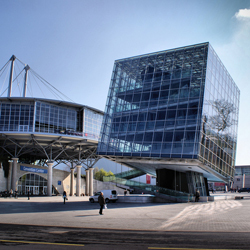 From March 5th till 9th Europe will live under the sign of CeBIT 2013 – no.1 event for the digital world, showcase for the latest trends, driver of new business and the meeting place for all sectors of the industry. Visitors of SAF Booth #C32 (Hall 011) will be informed about latest product news. 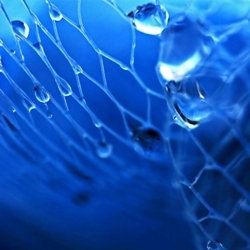 On the other side of ocean - in North America CTIA 2013 expo will gather companies who value the potential, excitement, efficiency, and immediacy of wireless communications. SAF Booth # 2652 will be in Tower Summit area. 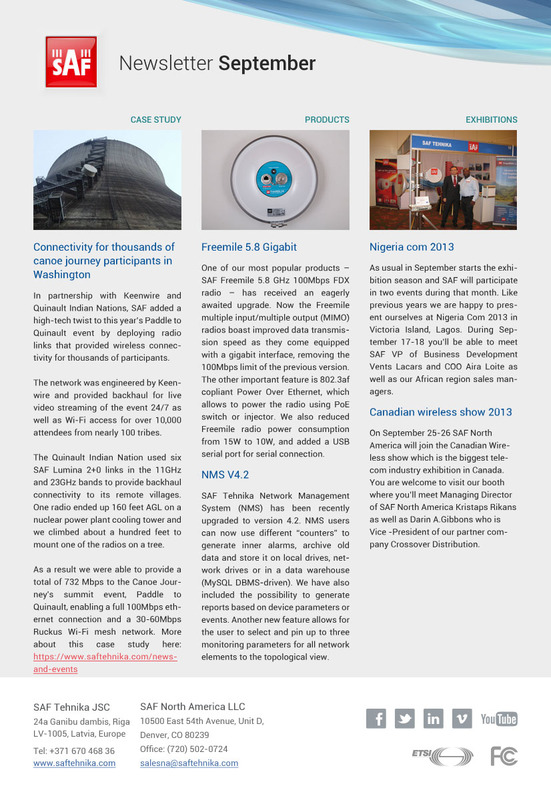 Year 2013 starts with three exhibitions in North America - Animal Farm 7 (Jan 29th – Feb 1st, booth #27), Rural Telecom Industry Meeting & EXPO 2013 (Feb 5th – 6th, booth #115) and Wireless Without Limits Conference Cruise 2013 (Feb 18th – 23rd) followed by CeBIT 2013 in Europe (March 5th – 9th, Hall 011, booth #C32). Check SAF webpage to get more information. 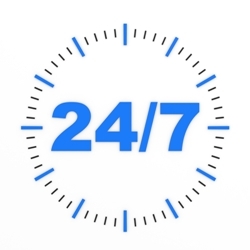 SAF Tehnika is pleased to announce that since beginning of this year SAF 24/7 Technical Support by phone can be purchased at www.saf-lastmile.com. This service is for CFIP and FreeMile products and in the online store it is available for 1 year period. 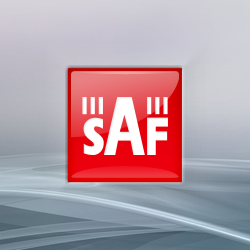 SAF Technical Support team is a group of professional engineers who provide individual technical service on such topics like configuration, installation and maintenance of SAF Tehnika equipment. 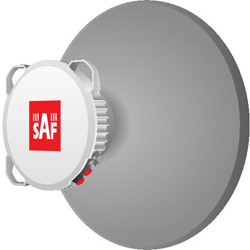 SAF-lastmile.com is an online shopping platform for unlicensed SAF FreeMile products, antennas and supporting accessories. One of the most important stages of installing a microwave point-to-point link is proper alignment of the antenna system. Any misalignment can cause unstable operation and will decrease the link budget that will affect the overall reliability of the link. While usually straight-forward, alignment on some links can be time-consuming and frustrating if not done correctly. This paper will address the alignment challenges sometimes met by engineers and provide general instructions and techniques to achieve optimal link performance.